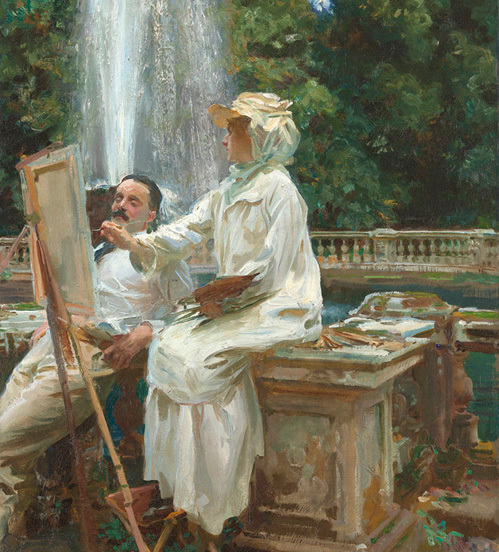 A new exhibition of John Singer Sargent's paintings of friends and fellow artists just opened at the National Portrait Gallery in London, where it will continue through May 25. Curated by Sargent expert Richard Ormond, the show includes Carnation, Lily, Lily, Rose and many other landmark paintings. 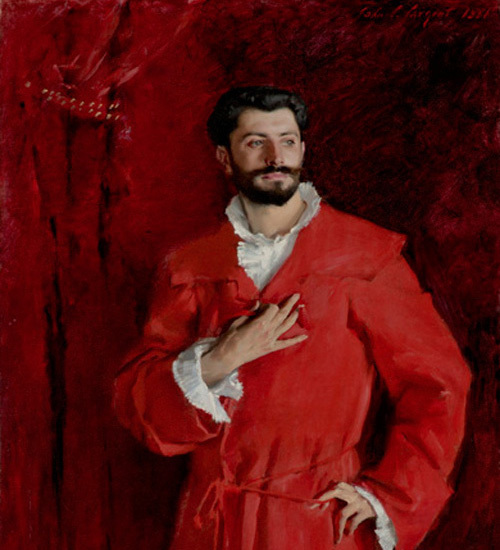 "John Singer Sargent (1856-1925) was the greatest portrait painter of his generation. Acclaimed on both sides of the Atlantic, he was closely connected to many of the other leading artists, writers, actors and musicians of the time. His portraits of these friends and contemporaries, including Auguste Rodin, Claude Monet and Robert Louis Stevenson, were rarely commissioned and allowed him to create more intimate and experimental works than was possible in his formal portraiture. "This major exhibition of over seventy portraits spans Sargent’s time in London, Paris, Boston and New York as well as his travels in the Italian and English countryside. Important loans from galleries and private collections in Europe and America make this an unmissable opportunity to discover the artist’s most daring, personal and distinctive portraits." Good news, Statesiders! It will expand to 90 works when it continues at the Metropolitan Museum in New York, June 30-October 4. I will be going to see it for sure. Just saw it yesterday and it was mind blowing. There is a thing I noticed about these paintings and I wondered if you had any thoughts on this, James: Sargent used exceptionally long brushstrokes. They were not corrected or smoothed out and you can only see that if you're standing in front of the actual painting (not visible on the photos). Kan, yes, Sargent's final brushstrokes are always well considered. It's interesting to look at the paintings and mentally remove those last strokes. It's the setup for those final strokes that makes Sargent's work so special. Thanks James, that's very interesting to hear.